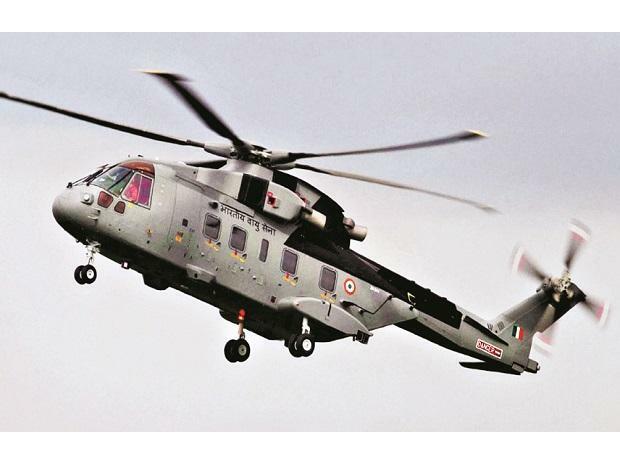 AgustaWestland chopper deal co-accused Rajiv Saxena and corporate lobbyist Deepak Talwar were on Wednesday extradited from United Arab Emirates (UAE) for India in another breakthrough for the government which managed successful extradition of Christian Michel James in December last year, an official said. Sources said an Enforcement Directorate (ED) team headed by an Inspector General rank officer and senior officials of Ministry of External Affairs and other officials of Research and Analysis Wing (R&AW) were taking them to Delhi from Dubai in a special aircraft. The flight carrying the accused will reach Delhi anytime, sources added. Saxena was reportedly picked up by the UAE security authorities from his residence on Wednesday morning and extradited to India in the evening for his pivotal role in laundering the money received to pay kickbacks in the Rs 3,600 crore AgustaWestland scandal. The ED in its supplementary chargesheet had elaborated on how the bribe money paid to clinch the chopper deal was "layered" and projected as "untainted money" by creating "fictitious invoices." In its chargesheet, the ED has mentioned how fictitious engineering contracts were created to hide the kickbacks allegedly paid by AgustaWestland to companies directly controlled by lawyer Gautam Khaitan, now under ED custody, and his associate Saxena, a co-accused in the case. A local court had issued a non-bailable warrant against Saxena, a businessman in Dubai, after the ED informed the court that he had not joined the investigation despite repeated summons against him. Saxena's name was mentioned in a chargesheet filed against his wife, Shivani, who is out on bail now after being arrested by the ED. Saxena was named only in the third supplementary complaint filed in July 2018. The same is also under challenge before the High Court by another accused in the case, Khaitan. A statement of Saxena's lawyer Geeta Luthra and Prateek Yadav revealed that "there was no extradition proceedings started in the UAE" and that her client was not allowed to access his family or lawyers nor did he get his essential daily medicine. "He (Rajiv Saxena) was on board a private jet from a private terminal at Dubai International Airport. When his lawyers asked to speak to UAE state security and demanded to understand what happened, they were told he is on the flight and can't be stopped. When they queried further, they were told "ask the Indian Government". Besides Saxena, the agencies are also bringing alleged corporate lobbyist Deepak Talwar to India as he fled to Dubai after the Indian agencies started probing his role for concealing income of more than Rs 1,000 crore as well as facilitating aviation contracts during the UPA regime. On December 4, 2018 British national and the middleman in the AgustaWestland case, Michel, 57, was brought to India following his extradition by the UAE. He is currently under ED custody.